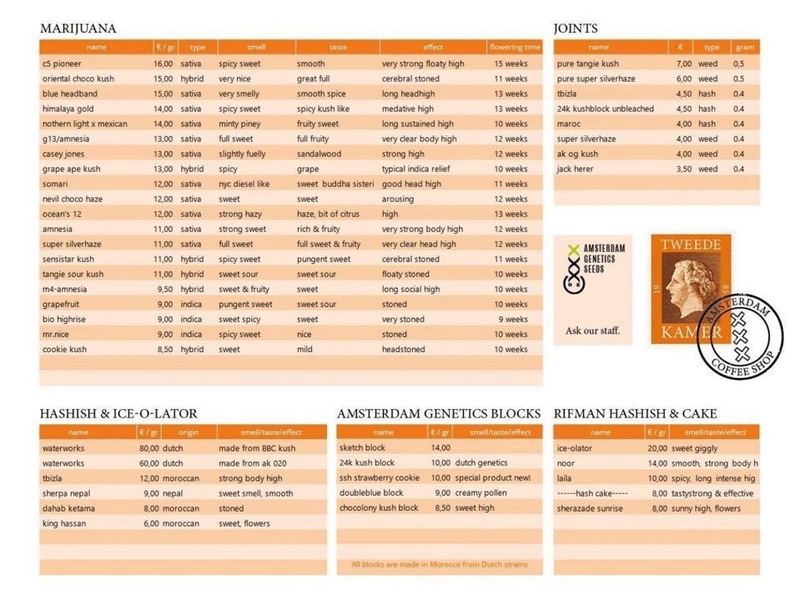 • The best coffeeshop(s) of Amsterdam. • By bike, boat or walking. Amsterdam’s Best Kept Secret! Tweede Kamer Coffeeshop opened it’s doors in 1985 and has become a household name in Amsterdam ever since. Visited by many locals as well as tourists. A very warm and cozy place which can seat maximum 20 people. One of our favorite coffeeshops. Everyone was friendly and the bud was always top notch. We actually discovered the place by chatting with a local about where to find some fire flower! Really enjoyed every moment in this place, hope to return again soon!